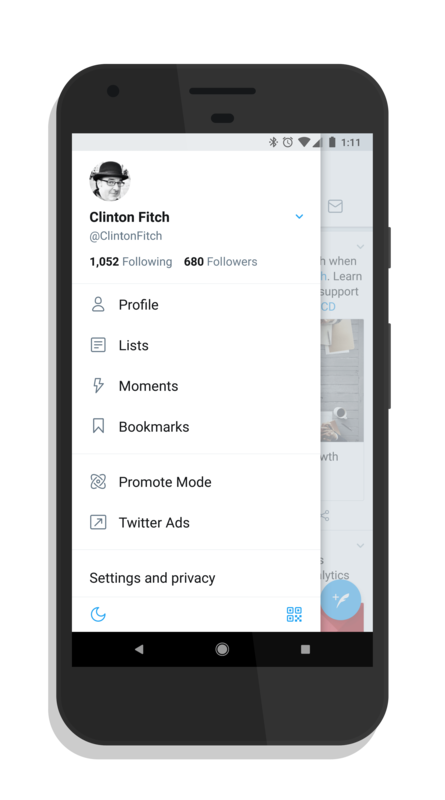 Twitter has begun rolling out a handy new feature to their mobile apps and site: Bookmarks. 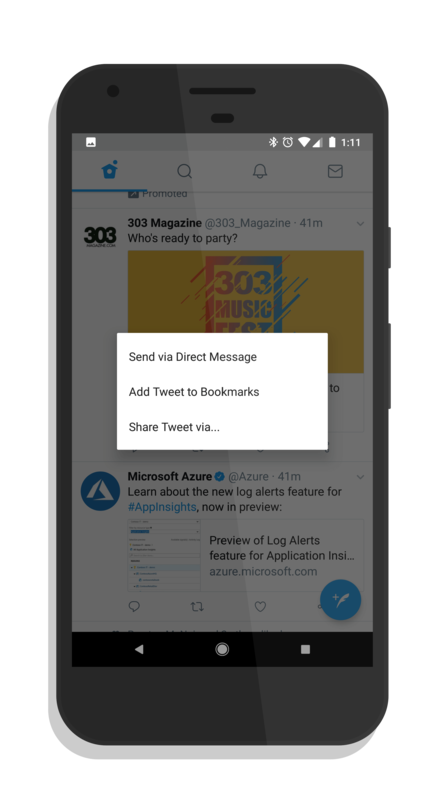 The bookmarks feature allows you to save a Tweet in your feed to read later or to share later. There appears to be no expiration of the bookmarks either so you can, in theory, save them for as long as you want. The new feature is rolling out as a cloud-side update to the Twitter apps for both Android and iOS and is also live on the mobile site, mobile.twitter.com. It does not appear to be on the main Twitter site, at least not yet. Accessing the new bookmarks feature is done via the menu when you tap your avatar in the app. Since this is a cloud-side change, so long as you are running the latest build of the app for Android or iOS, it will just show up when it hits your account. Saving a bookmark is pretty easy too. Just go to your feed and when you want to save a Tweet, tap the share button. There you will see an option to save the Tweet to your bookmarks. The ability to save a Tweet for later is a huge bonus for Twitter users who, to this point, were either having to scroll through their feed to find a particular Tweet or having to take a screenshot of it to save it for later. This new feature should make life a lot easier.